Instagram today announced it’s testing a new feature which allows users to go Live with friends. To be more clear, this apparently doesn’t mean going Live with a friend sitting next to you — which is my preferred way to show the Internet I’m not a recluse. This means you can invite another person to join your Live broadcast from their own device. When you invite someone to go live with you, the screen will split in two, and your friend will join you on one half. Everyone can still comment and follow along as normal. 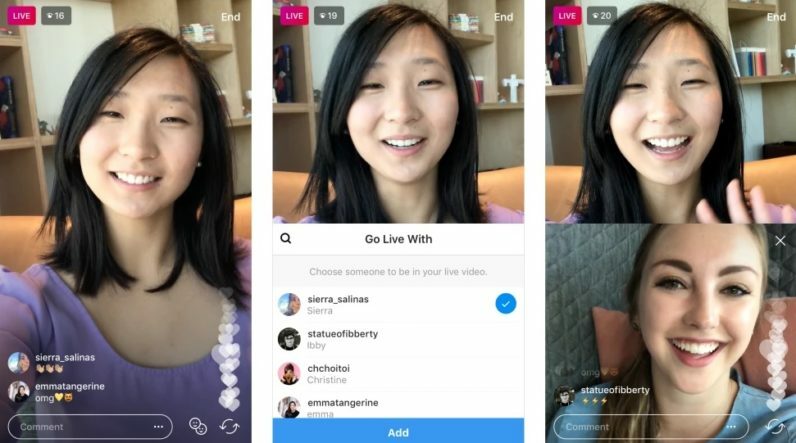 More interesting to me is the idea that you can remove and add any of your Friends at any time during the Live broadcast. I’d be curious to see whether this means a future where live news interviews or comedy skits will be aired on Instagram.